Episode 1.04 - Naked - Promotional fotos. . Wallpaper and background images in the new girl club tagged: new girl season 1 episode 4 naked promotional photos. 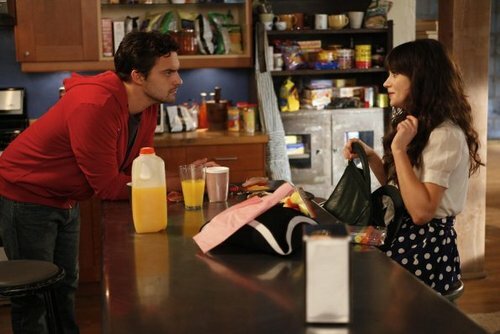 This new girl photo might contain brasserie. "Are tu gonna murder me?"